New x-ray technique reveals never-before-seen, trillionth-of-a-second magnetic fluctuations that transform the electronic and magnetic properties of materials. Brookhaven Lab physicists Pavol Juhas, John Hill, Mark Dean, Yue Cao, and Vivek Thampy, all of the Condensed Matter Physics and Materials Science Department, except Hill, who is director of NSLS-II. A quick flash of light can make ordinary materials extraordinary, potentially inducing qualities such as the perfect efficiency of superconductivity even at room temperature. But these subatomic transformations are infamously fleeting—they vanish in just trillionths of a second. Now, an international team of scientists has used synchronized infrared and x-ray laser pulses to simultaneously manipulate and reveal the ultra-fast magnetic properties of this promising quantum landscape. The rapid, light-driven switching between magnetic states, explored here with unprecedented precision, could one day revolutionize the reading and writing of data in computers and other digital devices. The study, published* May 9, 2016, in the journal Nature Materials, was led by scientists at the U.S. Department of Energy’s Brookhaven National Laboratory and included researchers from the U.S., China, Germany, Japan, Spain, and the UK. This novel x-ray technique, called time-resolved resonant inelastic scattering, revealed the subtle spin correlations, which travel as waves through the material and define its magnetic properties. Crucially, they behaved differently between two- and three-dimensional spaces when sparked by an infrared laser pulse. The bulk of the experimental work relied on the powerful and precise x-ray lasers available at SLAC National Accelerator Laboratory’s Linac Coherent Light Source, a DOE Office of Science User Facility, and the SACLA facility in Japan. To introduce novel magnetic and electronic qualities, scientists often use a technique called chemical doping to augment the atomic configuration of a material. Electrons can be meticulously added or removed, but the process is permanent. In this work, the scientists used a strontium-iridium-oxygen compound (Sr2IrO4), selected for its strong magnetic interactions. Manipulating spin in the material was relatively easy—the real challenge was catching it in motion. The collaboration turned to two powerful photon sources: the LCLS and SACLA, both uniquely capable of illuminating a quantum spin wave mid-stride. Both facilities can produce x-ray pulses with extremely short duration and high brightness. “Knowing that these facilities could produce fast and accurate enough laser pulses inspired this entire collaboration,” said study coauthor John Hill, the director of Brookhaven Lab’s National Synchrotron Light Source II, another DOE Office of Science User Facility. For the experiment, an initial infrared laser pulse struck the layered Sr2IrO4 compound, destroying the native magnetic state. For a brief moment, the electrons inside the material formed spin waves that rippled through the material and radically changed its electronic and magnetic properties. Trillionths of a second later, an x-ray pulse followed and bounced off those emergent waves. By measuring the change in both momentum and the angles of diffraction, the scientists could deduce the transient electronic and magnetic qualities. This specific process of bouncing and tracking x-rays, called resonant inelastic x-ray scattering (RIXS), was also pioneered by members of this collaboration to explore similar phenomena in condensed matter systems. The new research builds on that to include time-resolved data points. The scientists developed a highly specialized RIXS spectrometer, which used millimeter-sized silicon crystals to measure the exact energy of the rebounding x-rays. The data revealed a clear difference in the propagation and timescale of the magnetic phenomena, with the inter-layer correlations taking hundreds of times longer to recover than those within each layer. Next, the scientists plan to explore optical pulses at even longer wavelengths, which will shift atoms within the material without directly exciting the electrons and spins. That work may help reveal the native magnetic coupling within the material, which in turn will clarify how to best break that coupling and toggle between different electronic and magnetic states. The research was funded in part by the DOE’s Office Science (BES), which supported experimentation at LCLS. The prediction was that “Cooper pairs” of electrons in a superconductor could exist in two possible states. They could form a “superfluid” where all the particles are in the same quantum state and all move as a single entity, carrying current with zero resistance — what we usually call a superconductor. Or the Cooper pairs could periodically vary in density across space, a so-called “Cooper pair density wave.” For decades, this novel state has been elusive, possibly because no instrument capable of observing it existed. Now a research team led by J.C. Séamus Davis, a physicist at Brookhaven Lab and the James Gilbert White Distinguished Professor in the Physical Sciences at Cornell, and Andrew P. Mackenzie, Director of the Max-Planck Institute CPMS in Dresden, Germany, has developed a new way to use a scanning tunneling microscope (STM) to image Cooper pairs directly. The studies were carried out by research associate Mohammed Hamidian (now at Harvard) and graduate student Stephen Edkins (St. Andrews University in Scotland), working as members of Davis’ research group at Cornell and with Kazuhiro Fujita, a physicist in Brookhaven Lab’s Condensed Matter Physics and Materials Science Department. Superconductivity was first discovered in metals cooled almost to absolute zero (-273.15 degrees Celsius or -459.67 Fahrenheit). Recently developed materials called cuprates – copper oxides laced with other atoms – superconduct at temperatures as “high” as 148 degrees above absolute zero (-125 Celsius). In superconductors, electrons join in pairs that are magnetically neutral so they do not interact with atoms and can move without resistance. Hamidian and Edkins studied a cuprate incorporating bismuth, strontium, and calcium (Bi2Sr2CaCu2O8) using an incredibly sensitive STM that scans a surface with sub-nanometer resolution, on a sample that is refrigerated to within a few thousandths of a degree above absolute zero. Flow of current made of Cooper pairs between the sample and the tip reveals the density of Cooper pairs at any point, and it showed periodic variations across the sample, with a wavelength of four crystal unit cells. The team had found a Cooper pair density wave state in a high-temperature superconductor, confirming the 50-year-old prediction. The researchers noted that their technique could be used to search for Cooper-pair density waves in other cuprates as well as more recently discovered iron-based superconductors. This work was supported by a grant to Davis from the EPiQS Program of the Gordon and Betty Moore Foundation and by the U.S. Department of Energy’s Office of Science. The collaboration also included scientists in Scotland, Germany, Japan and Korea. M.H.H., S.D.E., A.K., and J.L. developed the SJTM techniques and carried out the experiments. K.F., H.E. and S.U. synthesized and characterized the samples. M.H.H., S.D.E., A.K., S.H.J. and K.F. developed and carried out analyses. E.-A.K. and M.J.L. provided theoretical guidance. A.P.M., J.L. and J.C.S.D. supervised the project and wrote the paper with key contributions from M.H.H., S.D.E. and K.F. The manuscript reflects the contributions and ideas of all authors. 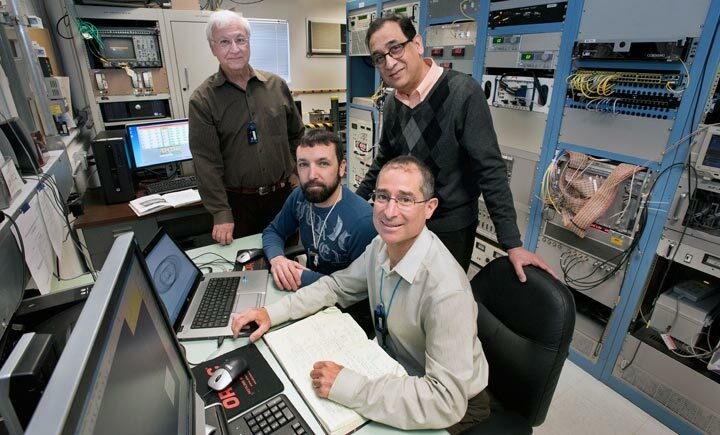 In the Brookhaven Linac Isotope Producer (BLIP) control room, (clockwise from back) Leonard Mausner, Deepak Raparia, and Robert Michnoff, who worked on the upgrade efforts, and Jason Nalepa, a BLIP operator, inspect recent changes to the raster beam profile. A live plot of the rastered beam, as measured with the new beam position monitoring system, is shown on the laptop screen. The small and large radii are visible. The electronics for the raster system are installed in the equipment racks seen in the background. No image credit. From imaging blood flow to the heart and other vital organs, to tracking the progression of bone disease, to destroying cancer cells, radioisotopes—radioactive forms of chemical elements—are used in the diagnosis and treatment of a variety of illnesses and diseases. Yet certain medically useful isotopes can only be produced by nuclear reactions that rely on high-energy particle accelerators, which are expensive to build and operate. As such, these isotopes are not typically available from commercial vendors. Instead, they are produced at facilities with unique capabilities, like the national labs built and funded by the U.S. Department of Energy (DOE). 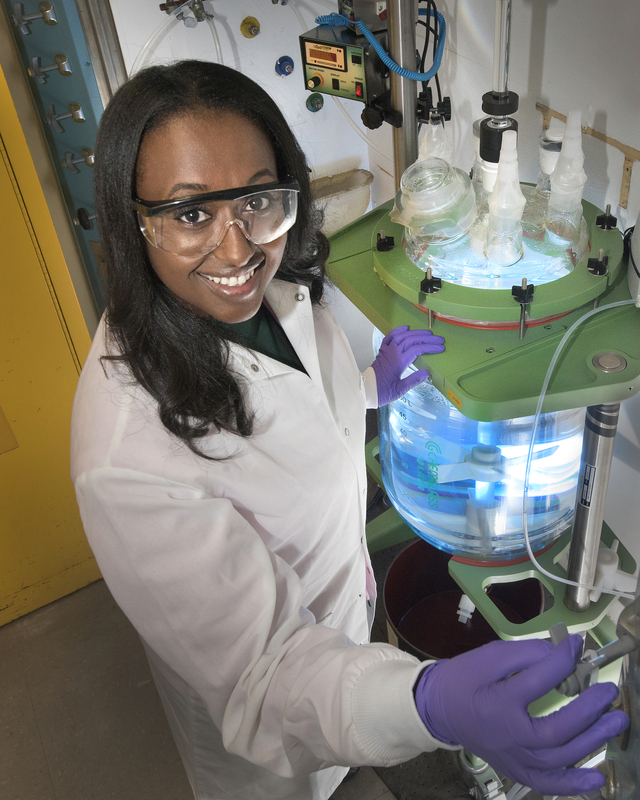 The DOE Office of Science’s Nuclear Physics Isotope Development and Production for Research and Applications program (DOE Isotope Program) seeks to make critical isotopes more readily available for energy, medical, and national security applications and for basic research. Under this program, scientists, engineers, and technicians at DOE’s Brookhaven National Laboratory recently completed the installation of a beam raster (or scanning) system designed to increase the yield of critical isotopes produced at the Brookhaven Linac Isotope Producer (BLIP), the Lab’s radioisotope production and research facility, in operation since 1972. The new raster system became operational in Jan. 2016 and is contributing to increased production of strontium-82 (Sr-82), an isotope used for cardiac imaging, and to research and development of actinium-225 (Ac-225), an isotope that may be a promising treatment for targeting many forms of cancer, including leukemia and melanoma. BLIP produces isotopes by directing a high-energy (up to 200 million electron volts), high-intensity narrow beam of protons at a water-cooled array of several target materials. When the protons collide with the target materials, a reaction occurs, producing radioactive products in the target. More than one isotope is being produced at any given time, so multiple targets are hit with the beam. As the beam passes through the first to last targets, its energy decays. The targets are lined up in an order that maximizes production of the desired isotopes: the targets needed to produce isotopes requiring higher energy are put in the front of the array. A small fraction of each of the products is the desired isotopes, which can be extracted and purified through chemical processing conducted inside lead-enclosed “hot” cells at Brookhaven Lab’s Isotope Research Processing Laboratory. Inside these hot cells, which are designed for safely handling radioactive materials, the irradiated targets are cut open and their contents are dissolved to separate out the desired isotopes. Personnel use manipulators to remotely handle the radioactive material. The isotopes are then shipped in specialized containers to suppliers, who distribute them to hospitals for medical use or to universities for ongoing research. What makes BLIP unique is its high-energy capacity. “A minimum of 70 million electron volts is required to make Sr-82,” explained Leonard Mausner, the head of research and development and facility upgrades within Brookhaven Lab’s Medical Isotope Research and Production Program. Mausner proposed both the new beam raster system and a complementary effort to increase the beam intensity of the Brookhaven Linear Accelerator, or Linac, which provides the beam used at BLIP. “To date, there are no commercial accelerators in the United States with the power required to produce this critical isotope used to image 300,000 patients per year,” said Mausner. However, the targets’ ability to handle BLIP’s high intensities has, until now, been largely hindered by the way the beam was positioned on the target. The beam, which significantly heats up the target, had always been narrowly focused on a single area of the target. As a result, the targets—such as the rubidium chloride (RbCl) used to produce Sr-82—became very hot only in the region of highest beam intensity. “The beam pulse, which is 450 microseconds long and happens every 150 milliseconds, would hit the targets in the same exact spot 24/7 over a period of weeks, potentially damaging the targets when high beam current was applied,” explained Robert Michnoff, project manager for the BLIP beam raster system and an engineer in Brookhaven Lab’s Collider-Accelerator Department. Uneven heating causes the density of a target to vary across its diameter. As a result, the energy of the beam exiting the target will also vary across this diameter, impacting the energy that enters the next target in the array. “The distribution in beam energy increases as it travels through one target to the next, making it difficult to assess how much energy is transferred. We want to optimize production of isotopes in the downstream targets,” said Cathy Cutler, director of Brookhaven Lab’s Medical Isotope Research and Production Program. The new beam raster system provides a more uniform distribution of the beam on the target by rapidly “painting” the beam on the target in a circular raster fashion using two custom-designed magnets. The difference in beam distribution on the target with the raster system off (left) and with the raster system on (right). The different color bands delineate the y-scale divisions, which are different on each plot. Note that although the total integrated beam density is equivalent in both plots, the peak beam density is five times higher when the raster system is off. The raster system clearly provides a more even beam distribution on the entire target. No image credit. But, rapidly sweeping the beam in one circular motion is not enough to uniformly distribute the beam across the target. “The beam intensity pattern would resemble a donut or a volcanic crater—a circle with a hollow center,” said Mausner. Instead, the beam is moved in a circular pattern at two different radii, essentially creating a larger and smaller circle. The radius values and the number of beam pulses for each radius can be programmed to optimize beam distribution. “The rastering pattern allows us to achieve near-uniform beam current density on the target,” said Michnoff, who mentioned plans to test a “middle” radius, which may help to provide even better beam distribution. The new raster system provides an opportunity for researchers to safely apply increasingly higher beam currents on targets—an approach that Brookhaven scientists have been actively exploring to further increase isotope production yield. In a complementary effort to the BLIP raster upgrade, the scientists worked to increase the beam intensity of the Brookhaven Linac by optimizing operating parameters of the hydrogen ion source, neutralizing the electric charge generated by the beam, and increasing the length of the beam pulse by placing the beam earlier in the radio-frequency pulse used to accelerate the ions. 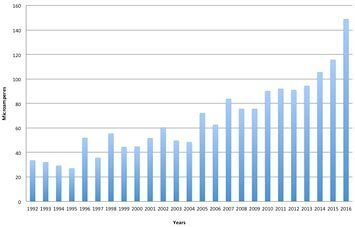 The linac’s yearly average beam current delivered to BLIP. No image credit. In 2015, the Brookhaven Linac’s beam intensity was increased from 115 to 147 microamps, surpassing the initial project goal of 140 microamps. After the raster system was commissioned in 2016, the beam was further optimized, achieving 165 microamps. In a second proposed phase of the Linac upgrade, the Brookhaven team hopes to double beam current by doubling the beam pulse length from 450 to 900 microseconds. Accelerating and extracting significantly more beam current out of the linac and transporting that current to BLIP will require the linac’s radio-frequency system and beam-focusing elements to be upgraded. “These upgrades will increase the duration of accelerating and focusing fields to cover the entire beam pulse,” said Raparia. The capability to handle higher and higher beam intensities without targets failing not only increases the yield of routinely produced medical isotopes, such as Sr-82, but also enables scientists to investigate other promising isotopes for medical and other applications. Among these isotopes is Ac-225, a short-lived alpha emitter—it quickly releases a high amount of energy in the form of alpha particles that can only travel short distances. As such, Ac-225 has the ability to destroy targeted cancer cells without destroying healthy surrounding tissue. Traditionally, Ac-225 has been produced through the natural decay of thorium-229 from uranium-233, which is not readily available and has an extremely long half-life, or rate of decay. In collaboration with Los Alamos National Laboratory and Oak Ridge National Laboratory, Brookhaven Lab has been developing an accelerator-based capability to scale up the production of Ac-225, the demand for which is 50 to 100 times greater than the current supply. Scientists from all three laboratories are working to develop a new Ac-225 production approach in which readily available thorium metal targets are bombarded with high-energy protons. Initial experiments demonstrated that an irradiation lasting less than a week’s time could produce the annual quantity of Ac-225 currently in supply. “The raster system will ultimately aid us in the research and development of Ac-225, which could eventually be manufactured into an active pharmaceutical ingredient used in cancer therapy,” said Mausner. However, before Ac-225 can become a routine medical isotope, several challenges must be overcome. “Hundreds of isotopes are produced when thorium is hit with protons, so it is difficult to separate out Ac-225 during chemical processing of the target,” explained Mausner. A small number of clinical cancer treatment trials are ongoing using the currently limited supply of Ac-225. Initial results indicate that Ac-225 has the potential to put terminal cancer patients with acute myeloid leukemia, a cancer of the blood and bone marrow, into remission. “The increased beam intensity, coupled with this new raster system, will enable higher production levels of desirable radioisotopes for the nuclear medicine community and industry, and will increase the number of patients who could benefit across our nation,” said Mausner. Members of the International Daya Bay Collaboration, who track the production and flavor-shifting behavior of electron antineutrinos generated at a nuclear power complex in China, have obtained the most precise measurement of these subatomic particles’ energy spectrum ever recorded. The data generated from the world’s largest sample of reactor antineutrinos indicate two intriguing discrepancies with theoretical predictions and provide an important measurement that will shape future reactor neutrino experiments. The results have been published in the journal Physical Review Letters. Studying the behavior of elusive neutrinos holds the potential to unlock many secrets of physics, including details about the history, makeup, and fate of our universe. Neutrinos were among the most abundant particles at the time of the Big Bang, and are still generated abundantly today in the nuclear reactions that power stars and in collisions of cosmic rays with Earth’s atmosphere. They are also emitted as a by-product of power generation in man-made nuclear reactors, giving scientists a powerful way to study them on Earth in a controlled manner. In fact, the study of particles emitted by reactors led to the first detection of neutrinos in the 1950s, a finding once considered impossible due to the extreme inert nature of these particles, which were then only predicted. Since that time reactor experiments, including Daya Bay, have played a crucial role in uncovering the secrets of neutrino oscillation—their tendency to switch among three known flavors: electron, muon, and tau—and other important neutrino properties. A crucial factor for many of these experiments is knowing how many antineutrinos are emitted in total in these nuclear reactions (the flux), and how many are being produced at particular energies (the energy distribution, or spectrum). In early studies, scientists relied on calculations or other indirect means, such as electron spectrum measurements made on reactor fuels, to estimate these numbers, based on their understanding of the complex fission processes in the reactor core. These methods have rather strong dependence on theoretical models. The Daya Bay Collaboration now provides the most precise model-independent measurement of the energy spectrum of these elusive particles, and a new measurement of total antineutrino flux. The data were gathered by analyzing more than 300,000 reactor antineutrinos collected over the course of 217 days. The most challenging part of this work was to accurately calibrate the energy response of the detectors. Through dedicated calibration and analysis effort, Daya Bay was able to measure the neutrino energy to an unprecedented precision, better than 1 percent, over a broad energy range of the reactor antineutrinos. The measured reactor antineutrino spectrum shows a surprising feature: an excess of antineutrinos at an energy of around 5 million electron volts (MeV) compared with theoretical expectations. This represents a deviation of about 10 percent between the experimental measurement and calculations based on the theoretical models—well beyond the uncertainties—leading to a discrepancy of up to four standard deviations [σ]. “This unexpected disagreement between our observation and predictions strongly suggested that the current calculations would need some refinement,” commented Kam-Biu Luk of the University of California at Berkeley and DOE’s Lawrence Berkeley National Laboratory, a co-spokesperson of the Daya Bay Collaboration. Two other experiments have shown a similar excess at this energy, though with less precision than the new Daya Bay result. Such deviation shows the importance of the direct measurement of the reactor antineutrino spectrum, particularly for experiments that use the spectrum to measure neutrino oscillations, and may indicate the need to revisit the models underlying the calculations. “We expect that the spectrum measured by Daya Bay will improve with more data and better understanding of the detector response. These improved measurements will be essential for next-generation reactor neutrino experiments such as JUNO,” said Jun Cao of the Institute of High Energy Physics (IHEP) in China, a co-spokesperson of Daya Bay and the deputy spokesperson of JUNO, an experiment being built 200 kilometers away from Daya Bay. Daya Bay’s measurement of antineutrino flux—the total number of antineutrinos emitted across the entire energy range—indicates that the reactors are producing 6 percent fewer antineutrinos overall when compared to some of the model-based predictions. This result is consistent with past measurements. This observed deficit has been named the “Reactor Antineutrino Anomaly.” This disagreement could arise from the imperfection of the models. Or, more intriguingly, it could be the result of an oscillation involving a new kind of neutrino, the so-called sterile neutrino—postulated by some theories but yet to be detected. Whether the anomaly exists is still an open question. The Daya Bay nuclear power complex is located on the southern coast of China, 55 kilometers northeast of Hong Kong. It consists of three nuclear power plants, each with two reactor cores. All six cores are pressurized water reactors with similar design, and each can generate up to 2.9 gigawatt thermal power. Every second, the six reactors emit 3,500 billion billon electron antineutrinos. For this measurement, the Daya Bay experiment used six detectors located at 360 meters to 1.9 kilometers from the reactors. Each detector contains 20 tons of gadolinium-doped liquid scintillator to catch the reactor antineutrinos. Two images showing the structure of the helicase protein complex from above. (a) A surface-rendered three-dimensional electron density map as obtained by cryo-EM. (b) A computer-generated “ribbon diagram” of the atomic model built based on the density map. The helicase has three major components: the Mcm2-7 hexamer ring in green, which encircles the DNA strand; the Cdc45 protein in magenta; and the GINS 4-protein complex in marine blue. Cdc45 and GINS recruit and tether other replisome components to the helicase, including the DNA polymerases that copy each strand of the DNA. New close-up images of the proteins that copy DNA inside the nucleus of a cell have led a team of scientists from the U.S. Department of Energy’s Brookhaven National Laboratory, Stony Brook University, Rockefeller University, and the University of Texas to propose a brand new mechanism for how this molecular machinery works. The scientists studied proteins from yeast cells, which share many features with the cells of complex organisms such as humans, and could offer new insight into ways that DNA replication can go awry. The research builds on previous work by Li and others, including last year’s collaboration with the same team that produced the first-ever images of the complete DNA-copying protein complex, called the replisome. The scientists produced high-resolution images of the helicase using a technique known as cryo-electron microscopy (cryo-EM). One advantage of this method is that the proteins can be studied in solution, which is how they exist in the cells. “You don’t have to produce crystals that would lock the proteins in one position,” Li said. That’s important because the helicase is a molecular “machine” made of 11 connected proteins that must be flexible to work. “You have to be able to see how the molecule moves to understand its function,” Li said. The top movie shows the helicase protein complex from all angles, and reveals how its shape changes back and forth between two forms. The bottom movie shows how the rocking action of this conformational change might split the DNA double helix and move the helicase along one strand so it can be copied by DNA polymerase. Using computer software to sort out the images revealed that the helicase has two distinct conformations—one with components stacked in a compact way, and one where part of the structure is tilted relative to a more “fixed” base. The atomic-level view allowed the scientists to map out the locations of the individual amino acids that make up the helicase complex in each conformation. Then, combining those maps with existing biochemical knowledge, they came up with a mechanism for how the helicase works. “One part binds and releases energy from a molecule called ATP. It converts the chemical energy into a mechanical force that changes the shape of the helicase,” Li said. After kicking out the spent ATP, the helicase complex goes back to its original shape so a new ATP molecule can come in and start the process again. “It looks and operates similar to an old style pumpjack oil rig, with one part of the protein complex forming a stable platform, and another part rocking back and forth,” Li said. Each rocking motion could nudge the DNA strands apart and move the helicase along the double helix in a linear fashion, he suggested. This linear translocation mechanism appears to be quite different from the way helicases are thought to operate in more primitive organisms such as bacteria, where the entire complex is believed to rotate around the DNA, Li said. But there is some biochemical evidence to support the idea of linear motion, including the fact that the helicase can still function even when the ATP hydrolysis activity of some, but not all, of the components is knocked out by mutation. “We acknowledge that this proposal may be controversial and it is not really proven at this point, but the structure gives an indication of how this protein complex works and we are trying to make sense of it,” he said. The study was funded by the U.S. National Institutes of Health and the Howard Hughes Medical Institute (HHMI), with additional support from the Brookhaven Lab Biology Department. High-resolution cryo-EM data were collected at HHMI and the University of Texas Health Science Center. Standard cosmology—that is, the Big Bang theory with its early period of exponential growth known as inflation—is the prevailing scientific model for our universe, in which the entirety of space and time ballooned out from a very hot, very dense point into a homogeneous and ever-expanding vastness. This theory accounts for many of the physical phenomena we observe. But what if that’s not all there was to it? A new theory from physicists at the U.S. Department of Energy’s Brookhaven National Laboratory, Fermi National Accelerator Laboratory, and Stony Brook University, which will publish online on January 18 in Physical Review Letters, suggests a shorter secondary inflationary period that could account for the amount of dark matter estimated to exist throughout the cosmos. Brookhaven Lab physicist Hooman Davoudiasl published a theory that suggests a shorter secondary inflationary period that could account for the amount of dark matter estimated to exist throughout the cosmos. Measuring the amount of dark matter in the universe is no easy task. It is dark after all, so it doesn’t interact in any significant way with ordinary matter. Nonetheless, gravitational effects of dark matter give scientists a good idea of how much of it is out there. The best estimates indicate that it makes up about a quarter of the mass-energy budget of the universe, while ordinary matter—which makes up the stars, our planet, and us—comprises just 5 percent. Dark matter is the dominant form of substance in the universe, which leads physicists to devise theories and experiments to explore its properties and understand how it originated. Some theories that elegantly explain perplexing oddities in physics—for example, the inordinate weakness of gravity compared to other fundamental interactions such as the electromagnetic, strong nuclear, and weak nuclear forces—cannot be fully accepted because they predict more dark matter than empirical observations can support. This new theory solves that problem. Davoudiasl and his colleagues add a step to the commonly accepted events at the inception of space and time. In standard cosmology, the exponential expansion of the universe called cosmic inflation began perhaps as early as 10-35 seconds after the beginning of time—that’s a decimal point followed by 34 zeros before a 1. This explosive expansion of the entirety of space lasted mere fractions of a fraction of a second, eventually leading to a hot universe, followed by a cooling period that has continued until the present day. Then, when the universe was just seconds to minutes old – that is, cool enough – the formation of the lighter elements began. Between those milestones, there may have been other inflationary interludes, said Davoudiasl. “They wouldn’t have been as grand or as violent as the initial one, but they could account for a dilution of dark matter,” he said. In the beginning, when temperatures soared past billions of degrees in a relatively small volume of space, dark matter particles could run into each other and annihilate upon contact, transferring their energy into standard constituents of matter—particles like electrons and quarks. But as the universe continued to expand and cool, dark matter particles encountered one another far less often, and the annihilation rate couldn’t keep up with the expansion rate. However, the weaker the dark matter interactions, that is, the less efficient the annihilation, the higher the final abundance of dark matter particles would be. As experiments place ever more stringent constraints on the strength of dark matter interactions, there are some current theories that end up overestimating the quantity of dark matter in the universe. To bring theory into alignment with observations, Davoudiasl and his colleagues suggest that another inflationary period took place, powered by interactions in a “hidden sector” of physics. This second, milder, period of inflation, characterized by a rapid increase in volume, would dilute primordial particle abundances, potentially leaving the universe with the density of dark matter we observe today. Proving the theory is another thing entirely. Davoudiasl said there may be a way to look for at least the very feeblest of interactions between the hidden sector and ordinary matter. “If this secondary inflationary period happened, it could be characterized by energies within the reach of experiments at accelerators such as the Relativistic Heavy Ion Collider (RHIC) and the Large Hadron Collider [LHC],” he said. LHC at CERN with map. Only time will tell if signs of a hidden sector show up in collisions within these colliders, or in other experimental facilities. Theoretical physicists from the U.S. Department of Energy’s (DOE) Brookhaven National Laboratory will serve as principal investigators for two of three recently announced collaborative projects exploring the theoretical underpinnings of nuclear physics. These five-year “Topical Collaborations in Nuclear Theory” were selected through a competitive peer review process for funding by the Office of Nuclear Physics within the DOE Office of Science and are just getting underway. 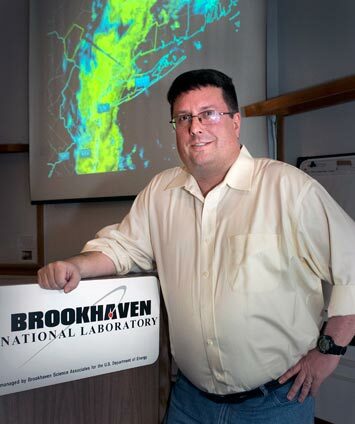 “Brookhaven Lab is a leader in the field of nuclear physics, running the Relativistic Heavy Ion Collider (RHIC), one of the field’s essential experimental facilities, and supporting a world-renowned nuclear theory group with diverse intellectual interests and capabilities. It is therefore particularly gratifying that the peer review process, which considered a number of strong proposals, has afforded Brookhaven the opportunity to provide intellectual leadership on two of the three selected projects,” said Berndt Mueller, Brookhaven Lab’s Associate Laboratory Director for Nuclear and Particle Physics. Advances in nuclear theory—along with experiments those theories help to drive and interpret—expand our understanding of the building blocks of matter, the astrophysical origin of elements, the properties of fundamental particles, and their implications for broader theories that describe the world around us. Some of the central goals of the Topical Collaborations in Nuclear Theory are to bring together groups of leading nuclear theorists, leverage the resources of small research groups, and provide expanded opportunities for the next generation of nuclear theorists. The collaborations are intended to function as hubs of a network of scientists that support sustained interaction and communication within the network and provide a mechanism for placing new researchers in permanent positions in nuclear theory. The two Brookhaven-led projects are directly related to the research at RHIC, a DOE Office of Science User Facility where nearly one thousand nuclear physicists from around the world collaborate to explore the fundamental building blocks of nuclear matter—the quarks and gluons that make up protons and neutrons—and the force through which they interact. They do so by colliding the nuclei of large atoms such as gold to recreate tiny specks of matter as it existed in the very early universe, before quarks became confined within larger particles such as the protons and neutrons that make up most of the visible matter of the universe today. Physicists in the Beam Energy Scan Theory Collaboration are helping to map points on the nuclear phase diagram. 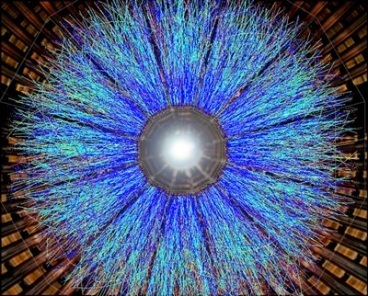 One project, led by Swagato Mukherjee, will construct and provide a theoretical framework for interpreting the results from the ongoing Beam Energy Scan program at RHIC. The theorists will develop a set of tools, models, and codes that will be used to analyze RHIC Beam Energy Scan data and will be made available to the research community. The collaboration plans to provide partial support for hiring at least two tenure-track nuclear theorists at universities in the U.S., and will organize workshops and summer schools related to the physics goals of the collaboration. Partnering institutions include: Indiana University, Lawrence Berkeley National Laboratory, McGill University, Michigan State University, MIT, North Carolina State University, Ohio State University, Stony Brook University, University of Chicago, University of Connecticut, University of Houston, and the University of Illinois at Chicago. The TMD Collaboration will explore the internal structure of the proton and how it relates to overall nucleon properties such as proton spin. The second project, led by Jianwei Qiu, will develop theoretical tools for studying the three-dimensional (3D) motion of quarks and gluons while they are confined inside protons and neutrons (collectively known as nucleons), which are the fundamental building blocks of all atomic nuclei. This collaboration establishes a unique three-pronged scientific effort pulling together expertise in both theory and phenomenology of quantum chromodynamics (QCD)—the theory that describes the interactions of quarks and gluons—as well as in “lattice QCD,” the supercomputer-based calculation method used to solve the complex mathematical equations of QCD. This group of theorists, known as the TMD Collaboration, will further develop and perfect the “transverse momentum dependent (TMD) QCD factorization.” This is theoretical framework that enables physicists to relate experimental measurements to the 3D momentum landscape inside the nucleon using data from research facilities such as RHIC, Jefferson Laboratory, CERN, and a future proposed Electron-Ion Collider. “We are making a concerted effort to bring in new people and to train young scientists,” Qiu said, noting that the project will support two new tenure-track junior faculty positions and leverage existing support to have six new postdoctoral fellows and five graduate or undergraduate students working with the collaboration. Partner institutions for this project include Duke University, Jefferson Laboratory, Lawrence Berkeley National Laboratory, Los Alamos National Laboratory, MIT, New Mexico State University, Penn State University at Berks, Old Dominion University, Temple University, University of Arizona, University of Kentucky, University of Maryland, and the University of Virginia. “Our scientists are excited and honored to be selected to lead these projects, which will support research in priority areas of the new Long Range Plan for Nuclear Science and are of strategic importance to the national nuclear physics community,” Mueller said. 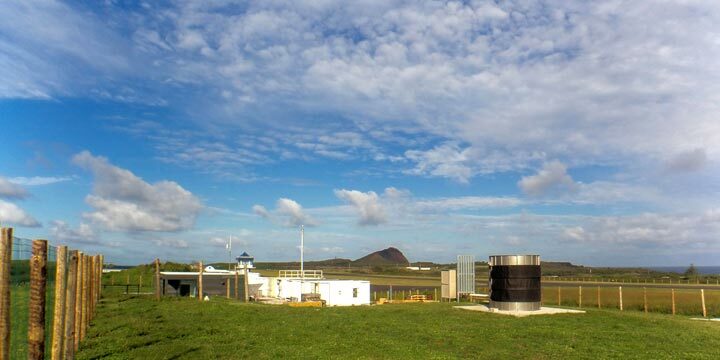 ARM’s Eastern North Atlantic observation facility on Graciosa Island in the Azores will collect data on the interaction of clouds, aerosols, and precipitation as part of the ACE-ENA field campaign to investigate the impact of aerosols on low-lying marine clouds. Image courtesy of U.S. Department of Energy ARM Climate Research Facility. 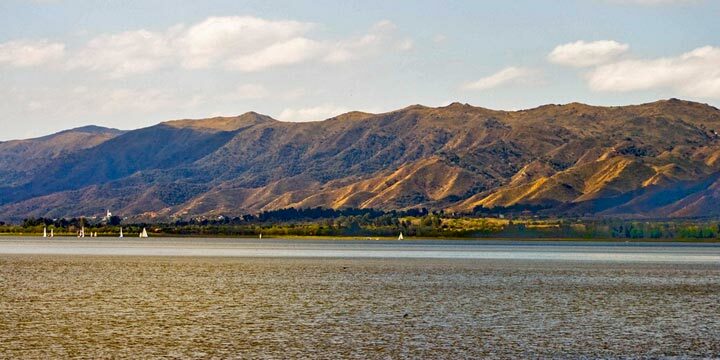 Climate scientists at the U.S. Department of Energy’s (DOE) Brookhaven National Laboratory will play key roles in two upcoming field campaigns funded by DOE’s Atmospheric Radiation Measurement (ARM) Climate Research Facility, a DOE Office of Science User Facility. These campaigns will deploy ARM’s advanced aircraft- and surface- based instrumentation to explore the interactions between clouds and the environment in two remote regions of the globe: the Eastern North Atlantic and the Argentinian Andes. The data collected in these experiments will shed light on regional climate dynamics and improve global climate simulations. They were among five missions recently selected by ARM, to deploy key components of its facility between 2016 and 2019. 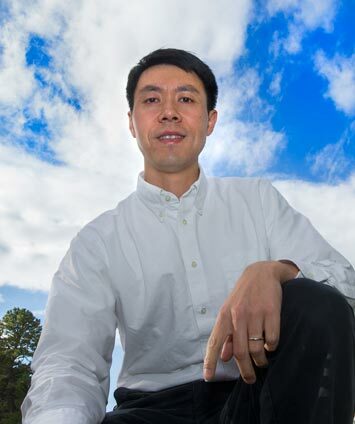 Brookhaven Lab’s Jian Wang will lead the ACE-ENA field campaign. Jian Wang, a researcher in Brookhaven Lab’s Environmental and Climate Science Department, will lead the Aerosol and Cloud Experiments in the Eastern North Atlantic (ACE-ENA) campaign to investigate marine boundary layer clouds over the Atlantic Ocean. Aerosols, tiny airborne particles, have a strong impact on the formation of marine boundary layer clouds, but the magnitude of this impact is unclear —a major source of the uncertainty in global climate models. A big challenge is measuring both aerosols and clouds, and how they vary with space and time, over the ocean. In summer 2017 and winter 2018, the campaign will use instruments aboard the ARM Aerial Facility (AAF) Gulfstream-1, a twin turboprop aircraft, to collect data on clouds and aerosols above the Azores, an island archipelago 850 miles west of continental Portugal. Radars and other instruments stationed at ARM’s permanent research site on the Azores’ Graciosa Island will simultaneously monitor precipitation and cloud cover from the ground. “A key advantage of this campaign is the coupling of the measurements from the aircraft with those taken from the surface,” Wang said. Other contributors to the project include Scott Giangrande, Michael Jensen, Chongai Kuang, Ernie Lewis, Edward Luke, Yangang Liu, and Arthur Sedlacek, researchers in Brookhaven Lab’s Environmental and Climate Science Department; and Pavlos Kollias, a collaborator from Stonybrook University. Brookhaven Lab’s Michael Jensen is a member of the CACTI campaign team. The CACTI field campaign will deploy surface- and aircraft- based instrumentation to the Córdoba mountain range of north-central Argentina to collect data on the initiation and lifecycle of violent storms in the region. Image courtesy of Carlos Marro and licensed under CC BY 2.0 via Creative Commons. The campaign is set to collect unprecedented amounts of data on the interaction between storms and the environment in subtropical South America, and promises to improve long-term climate simulations in this critical agriculture region. Alesha Harris has three degrees in chemistry and has taught the subject in her home state of Texas. Although her graduate work was in nanoparticles—materials just a billionth of a meter in size—she joined the U.S. Department of Energy’s Brookhaven National Laboratory as an Alliance for Graduate Education and the Professoriate–Transformation (AGEP-T) postdoc working with Minfang Yeh, who leads the neutrino and nuclear chemistry group. Before becoming acquainted with Brookhaven Lab and Yeh’s work, Harris had never heard of the mysterious neutrinos, invisible subatomic particles. Harris comes from a family of high achievers. Her father is a CPA, a college vice president for Business and Finance, as well as a preacher. Her mother is a dentist and recently retired from the US Public Health Service, where she oversaw the quality of health care in 11 states. Harris’ grandfather was a physicist, an architect, a pilot, and a mathematician. Her career in science is a result of Harris pursuing an earlier goal. Harris credits a high school teacher with fostering her love of chemistry. As an undergraduate at Dillard University in New Orleans, Harris majored in chemistry with a minor in math. She did her graduate work – earning a MS and a PhD in inorganic chemistry — at the University of North Texas. Yeh’s group at Brookhaven works with liquid scintillators for the detection of the elusive neutrinos, and is experimenting with surfactants to generate stability in a new and improved metal-doped scintillation water. The AGEP-T program aims to prepare its participants for a possible teaching career, something Harris has already experienced. After receiving her PhD, she taught general chemistry at a small historically black college in Texas. Harris also taught the math portion of the Graduate Record Examination and helped interest students in science and technology careers. She became aware of Brookhaven’s AGEP-T program through networking at conferences. “I really appreciate that the program emphasizes mentorship,” she said. “I know that Dr. Yeh is one of the best in his field, and I like the fact that I can attend conferences, go to seminars and have a group of people who are trying to develop me professionally not just scientifically. Since I’ve been here, I’ve been able to learn to use more instruments than I did in graduate school and I’m looking forward to punching out papers. In addition to her work in the lab, Harris is involved with numerous outside activities. She plays volleyball — on and off campus—and is part of the sorority Alpha Kappa Alpha. The group focuses on community service, and before the school year began, they assembled backpacks for elementary, middle and high school students. She also recently joined Toastmasters.